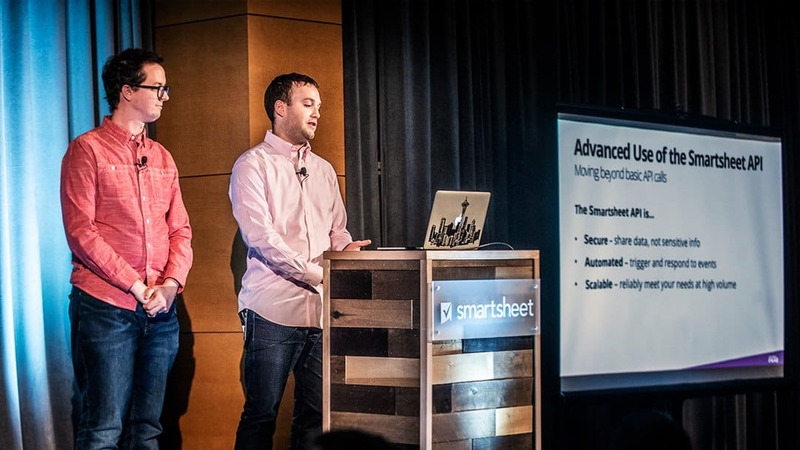 Innovative IT teams that use the Smartsheet API see benefits as soon as their integration is up and running. 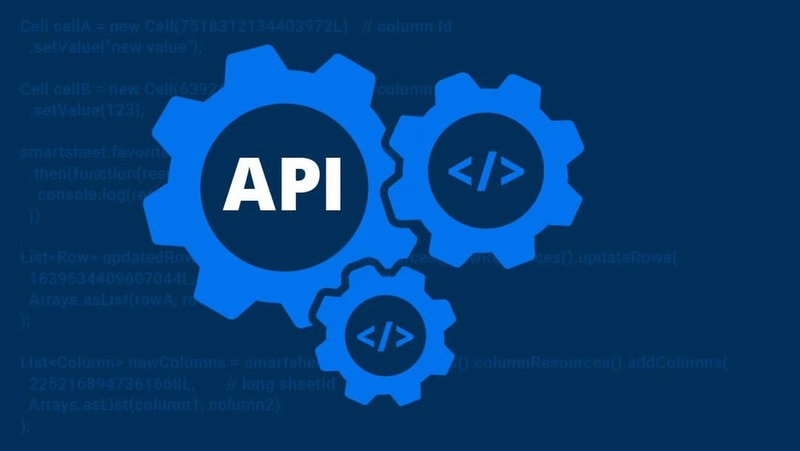 The API is a powerful tool for developers that helps ensure a combination of secure data management, automation through webhooks, and the ability to scale Smartsheet throughout your company. The Smartsheet Developer Portal is the “home base” for all developer resources. There you’ll find API documentation, information about Smartsheet SDKs, answers to your specific API questions from our user community, and more. The video introduces the concept of an API, identifies the first steps you will need to take to build with the Smartsheet API, and gives some guidance on navigating Smartsheet’s Developer Resources. Smartsheet software development kits (SDKs) provide a means of accessing the Smartsheet API using the programming language of your choice without having to write all the code from scratch. In addition to the pre-built methods, each SDK also includes retry logic (for rate limit errors) and logging systems. Each respective SDK (C#, Java, Node, Python, Ruby) has documentation and a sample read/write sheet available for reference. 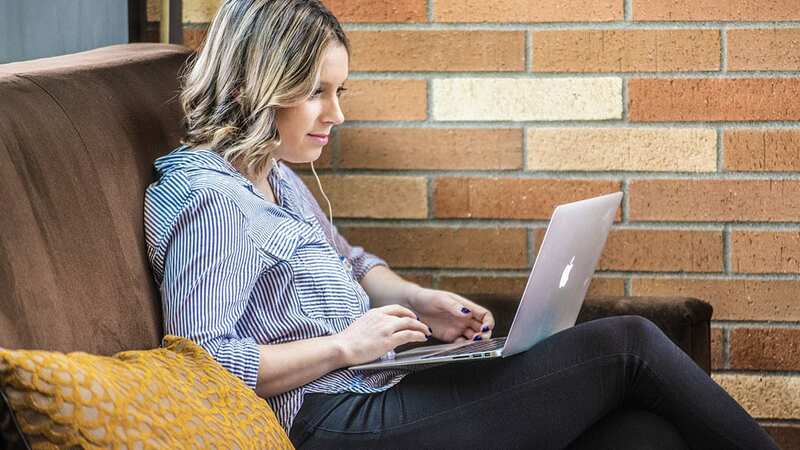 After you spend some time exploring our Smartsheet Developer Resources, you should be ready to lay the groundwork for creating your integration. If you’re planning to build a third-party application or if you want to create a sandbox Smartsheet account that you can use for development and testing purposes (without affecting data in your production Smartsheet account), you’ll need to complete the Developer Registration process. Next, to authenticate API requests via Direct API Access, you’ll need an API access token that is owned by the Smartsheet account that you want to access. 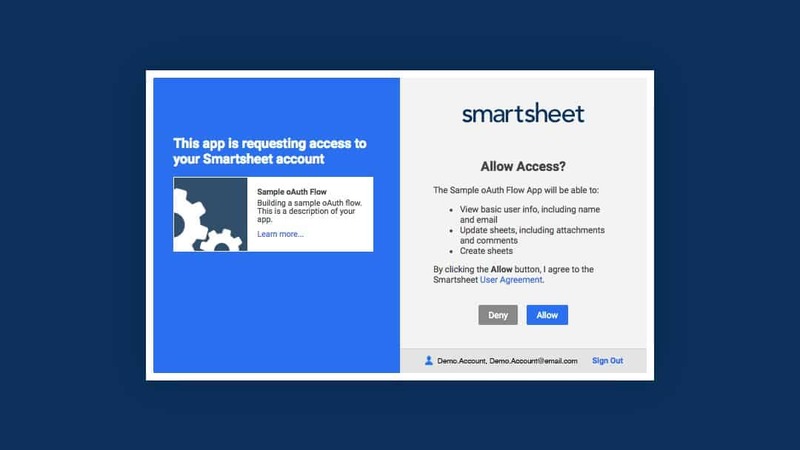 Access tokens can be generated by the Smartsheet UI: simply login to your Smartsheet account, then follow the instructions here to generate a token. If you’re building a third-party application that will implement the OAuth2 Flow to retrieve an access token that can be used to access Smartsheet data on behalf of an end user, then you won’t need to manually generate an access token as described above. Instead, consult the API docs for information about third-party app development. If you’re building a third-party application meant for other users, then you’ll need to implement an OAuth2 Flow to retrieve an access token. Automatically(rather than manually) generating an access token ensures that the user has their own respective token in order to access their Smartsheet data. We recommend consulting the API docs section on third-party app development. For reference, we have a tutorial on building a Smartsheet OAuth flow in Node.js. Using the code sample panel on the right side of the page, select the tab for the language that you’re interested in. Review your respective SDKs readme and read/write sample. All links are available on the Smartsheet Developer Portal. Navigate to any API Reference section to see a code sample that demonstrates how to execute the operation using the SDK. While you can benefit from using an SDK, it’s by no means mandatory. If you choose to forgo using an SDK in favor of building a custom integration from scratch, leverage the API Documentation as your primary resource. If you get stuck, please don’t hesitate to ask questions on StackOverflow using the smartsheet-api tag. Your question could help someone in the future. You might encounter an API or SDK issue that you can’t resolve using our API Troubleshooting guidance, or have a question that’s not addressed by the API docs. Please post your issue or question to StackOverflow, where we (along with thousands of developers worldwide) are standing by, ready to assist you. There’s a learning curve when using a new API for the first time, but the proper resources and processes can make all the difference. We encourage you to make the most of the Smartsheet Developer Portal for resources and guidance to help you accelerate the time it takes for you to get comfortable using the Smartsheet API and help you confidently deploy your solution.